It’s hard to believe now, but Habitat for Humanity was just 12 years old when it opened an affiliate in Athens, GA, in August of 1988. Today, Habitat is one of the largest builders in the US and one of the most widely known and respected non-profits in the world. 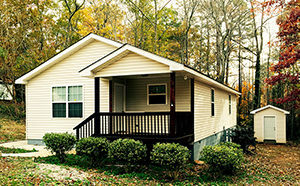 And Athens Area Habitat — serving Clarke, Oconee, and Oglethorpe counties — has built nearly 100 homes, renovated and restored some 50 multi-family housing units, constructed dozens of access ramps for disabled homeowners, and performed scores of home repairs for neighbors in need. 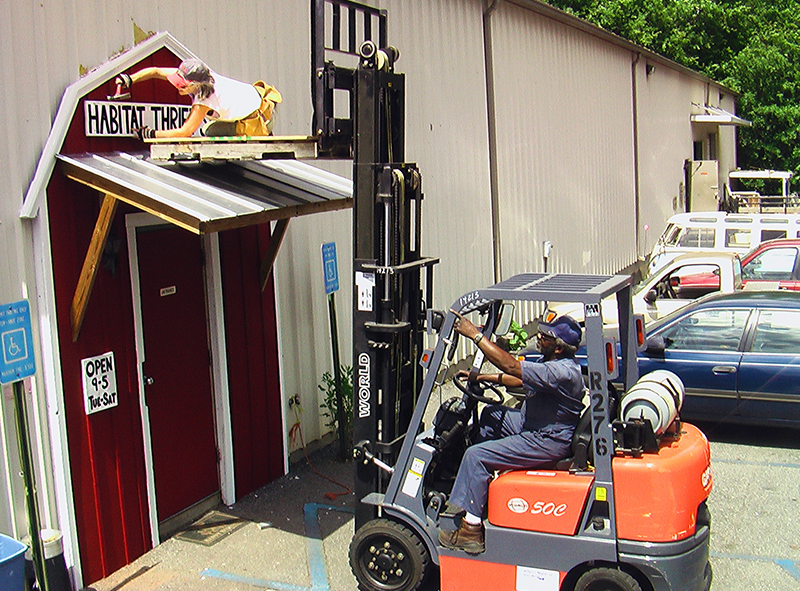 “Athens Hab” also runs two warehouse-size thrift stores that help local folks find everything from furniture to clothing to appliances at deep discounts while raising funds for desperately needed affordable housing in our community. To celebrate its birthday on Wednesday, August 8th, Athens Area Habitat will be serving cake and soft drinks to customers and other guests at both of its stores, which are open 9-5 at 532 Barber Street just north of the tracks by the Jittery Joe’s roaster, and at 4125 Atlanta Highway across from Georgia Square Mall. Everyone in the tri-county service area is invited to stop by, enjoy some refreshments, and learn more about what Habitat does and how they can support affordable housing locally. A recent study conducted by Georgia Tech confirms that families who purchase Habitat homes are better able to save money and pay bills on time, are able to reduce or eliminate their need for public assistance, feel safe and more optimistic about their futures, and become more active in their communities. National studies also reveal that Habitat homes stabilize or even boost neighborhood property values. Athens Habitat also runs two programs in partnership with Athens-Clarke County aimed at keeping existing low-income owners in their homes. 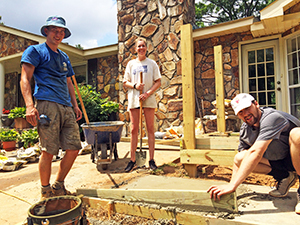 The Brush with Kindness program helps with emergency repairs, and the Emergency Handicap Access Ramp Program (EHARP) builds ramps for disabled homeowners so they don’t have to relocate. To fund its ongoing building efforts, mortgages and rents are directed back into the funding pool along with grant money, donations, and revenues from the two Habitat ReStores operated by the Athens affiliate. And regular customers at the ReStores will know the name and face of JP Watkins, a long-time Habitat staff member who is retiring on August 8th. Today, the two Athens ReStores employ 12 full-time and 6 part-time staff. They still offer free pick-up of donations in Clarke, Oconee, and Oglethorpe counties, but they move a lot more merchandise than back in ’92, which translates into more affordable housing for the Athens area. “We will definitely miss JP,” says Frye. “He’s irreplaceable. Seeing him retire is like seeing part of our history walk out the door.” JP Watkins will be honored at his retirement on Wednesday, August 8th, at the west side ReStore at 4125 Atlanta Highway in Athens.